It’s a good thing that I like lemons because it would appear that a truckload has been dumped on our doorstep. My worst fears were realized this morning when I found out that the results of my biopsy were positive. As a result, I will be taking a hiatus from my blog for the next little while Mr. Painted Quilt and I take care of business to get me well again. I don’t exactly know what’s in store for me as yet but I expect I’ll be finding that out in the next little while. I’m positive and upbeat and I’m in it for the long haul. After all, I have all this fabric and wool just waiting to be transformed into quilts, rugs and other goodies! Prayers! Stay strong! And from a survivor stay positive and as creatively active as possible. I started making jewelry because I could do it lying in bed! Prayers! I will be thinking of you, Kaaren. Sending healing prayers and well wishes your way. A prayer will be said with each stitch I take. As much as I enjoy your blog and patterns, your health and wellbeing if foremost. Gentle Hugs. I wish you all the best for your recovery. I will be thinking of you and sending you positive thoughts. Take care of yourself and know that we'll all be praying for your speedy recovery. May it be fastest recovery EVER! You will be in my prayers. I sure hope everything works out for the best. Wishing you a swift and complete recovery Kaaren. Thoughts and prayers are being sent your way. Take care and we will be thinking of you. Sending wishes and blessings your way for a speedy recovery. I am so sorry to hear that things didn't go well and you will be in my prayers and thoughts. Take time for yourself and I hope you will say hi when you can, to let us know how you are doing. Ah shoot! When I saw trhe title of the post my heart sunk. You have a lot of people praying for you. I'll be praying for wisdom and strength. Oh Kaaren,you will be in my thoughts and prayers. We will certainly miss you and your blogging, but your health is so much more important. I hope that you will be able to do an occasional update. We have grown to love you and only desire the best for you as you walk on this new path. Take care my friend. My thoughts and prayers will be with you for the long haul. I want you to know that I have finished stitching mey Raggedy and Friends blocks. I will be finishing the last setting blocks soon. I will be remembering you as I work on the great and generous gift from you. Please keep us posted as best you can. wanted you to know that I am praying for you.... to a God who loves you dearly. Psalm 46:10 "Be still and know that I am God". Please speak to Him and really listen. He offers a peace that surpasses all understanding. "Be anxious for nothing, but in everything by prayer and petition with thanksgiving, let your requests be known to God and the peace of God, which surpasses all understanding, will guard your hearts and minds through Christ Jesus". Phillippians 4:6 I am hoping that you will be blessed with caring people, warm and compassionate care and faithful friends........God's speed to a full recovery and many years of joy. Our thoughts and prayers are with you. We hope for the best. Take care! I am praying and proclaiming a complete recovery! I am a cancer survivor of 7.5 years and I will honestly say I believe that it was the Grace of God and all the prayers said in my name that got me thru this experience. Please know that you, too, will be covered in prayer! I am so sorry, Kaaren. Please know that you have my prayers and we will all look forward to having you back and healthy again. Hugs. Prayers and healing energy being sent your way. We'll be here when you're ready to return. The power of positive thinking is strong. I hope you can feel the energy coming your way. Take good care and we'll be waiting for you when you can come back. Mr. Squash and I are so sorry to hear of the results, Kaaren. There is great medicine out there nowadays and your positive attitude is the best medicine. We'll think of you each and every day. Take care! Definitely not the news you, or any of us, wanted to hear. But at least you know and can move forward and get on top of it. With the positive attitude you have you are well on your way in this battle. You will be greatly missed, but you are doing the right thing. Just know that whenever you want to pop in there will be lots of us waiting. We're praying for you and cheering you on. Don't you think you are going to get rid of me and my virtual hugs for you that easy Miss Kaaren - I have your e-mail address and there is no way on this earth that I am going to let you retreat to heal without me popping in from time to time to top up the hugs for you. Kaaren, I will say prayers from here in NJ, as will your other followers from around the globe. Oh my dear friend, Kaaren, I wish I could physically give you lots of healing hugs but I hope you can feel them. I will be praying very hard - take good care. Kaaren, best to you will be sending prayers and positive thoughts God bless you on your journey. my thoughts are with you. Stay strong! My thoughts and prayers are with you. Praying for your recovery. Oh Dear! You will be greatly missed in blogland Kaaren, but we certainly understand that you have more important things to deal with right now. Here's hoping for the best! Oh sweetie - I'm sorry for the news about the biopsy. I will be thinking of you and praying for you in the coming days. Sometimes these things can turn out to be blessings - all the hard work you've put into your new home and the new wool fun that you've found may be a comfort to you as you heal. You are so loved here in blogland - by people like me that don't really know you - but love the person we do know. If that makes sense. We learn so much about each other with these blogs - it does feel like we know each other. I think you could teach Mr. PQ how to post now and then to let us know how you are doing - we will all be worried and thinking of your progress. Take care sweet pea!!! And remember you are NEVER alone! Dear Kaaren, I read your blog, and I love it. Too shy to comment before. When my youngest child had cancer 10 years ago, my lovely brother-in-law told me that he hoped that it would be a tiny blip in her history. It helped us a lot. I hope the same for you. Best, best wishes for a speedy recovery. From a fan in Ontario. I will be putting you on my prayer list and will keep you in my prayers. So sorry to hear your news. I'll be another prayer warrior for you. Take good care of yourself. Kaaren, I am so sorry for the positive biopsy. Hope this is just a bump in the road for you...many hugs and many positive thoughts and prayers are headed to you...did you feel them just smack you? You have such a wonderful upbeat attitude, I know you will do well. Will be praying for you and the wisdom of the doctors and treatment providers. Oh Kaaren, I'm so sorry to hear that, but know we are all sending you the warmest and most positive of vibes. Your attitude goes a long way too! I would send you a truckload of sugar for your lemonade if it would help! My MIL has been C free for 11 years now, you can do it. You are so sweet, Kaaren. You (and Mr. PQ) will be added to my prayers everyday and I will continue for as long as needed. This is just a bump in the road and soon all will be well. Ps - I will really miss you! You will sort this out and make a plan in a few days. My prayers go out for you and your family until then. I'm glad to read you are in a healing mode. Extra positive thoughts are on their way to you!!!!! Stay strong and keep thinking of all the stuff you will soon be making with your fabric and wool. I will stay around here, even if it is reading old posts until you recover and come back. Prayers and healing wishes from Minnesota to you. Take care of yourself! Kaarn, so sorry to hear this news. Prayers and good thoughts coming your way. Wishing you a swift and complete recovery Kaaren...hope to see you back here soon. Take care and time to heal. Kaaren, Please know you are in my thoughts and prayers. Take good care of yourself. Dear dear Kaaren, God is really going to know your name! Will stayed tuned for your triumphant return and keep you in my prayers. Hello Kaaren, Take care of yourself. I will be sending lots of good thoughts your way. My prayers and thoughts are with you and your family. May God bless you with renewed health. You are in my prayers and in my heart. Take care and come back to us soon...all well and sound. Kaaren, I will miss your blog very much and look forward to seeing you up and smiling again soon! praying for a speedy recovery by blogging friend. Que su tratamiento y recuperación sea breve y favorable!! Sending light and love your way. We will all be thinking of you and sending healing thoughts your way. We'll miss your blog, so get well soon and hurry back! Kaaren, your #1 priority now is taking care of yourself....and getting healthy again. We will miss you, that goes without saying....stay strong...stay positive. Laughter is great medicine. Looking forward to hearing from you after you win this battle. Take care...prayers and well wishes are coming your way from Michigan.....!! Blessings and prayers are with you. Kaaren, I know you can win this battle with your positive outlook, good care and the support of Mr PQ. Healing thoughts of support to you, may your journey be straight and true and short. I got goose bumps and chills as I read your blog. Oh, you will be missed,but, Take the time you need to heal. I will pray for you and you will be my thoughts every day. We will all be here waiting for you and cheering you on. Now go take care of yourself. I'mm so sorry to hear this news Kaaren but you are taking the right stance in focusing mainly on your health. My prayers are with you and your husband in this struggle. I will be praying that your lemonade turns out nice and sweet! I'll be thinking of you - happy thoughts and positive prayers coming your way! Oh Kaaren!!! I'm so sorry to hear this!! You have got the right attitude...lean on that man of yours and kick this out of your sand box!! You got too much playtime ahead of you!! Take as much time off as you need...we will be here waiting! My thoughts are with you...and I'm sending a big HUG your way!! You take care and get better! Oh Kaaren, my heart goes out to you. I will say lots of prayers for you and if there is anything you need, please let me (us) know. Don't stay away too long. Keep us updated so that we can give you encouragement when you need it. Prayers are coming your way. BLESS YOU WITH ALL THE VERY BEST! Oh Kaaren. So sorry to see the news. Please let me know if there is anything at all I can do to help or keep your spirits up. Your in my prayers. I won't stop praying for you and your husband! I'll admit, Kaaren, that I wasn't sure I wanted to read your post today. However, you have many good, caring folks praying for your complete recovery and that's a great first step on this leg of your journey. I will miss your blog posts but your health comes first. I will continue to pray for you and Mr. PQ too. So sorry to read this post. My prayers are with you along with all the amazing support of your other blog friends. If down the road you decide that blogging will help your healing process you know we will all be ready and eager to read your words! Karen, sending you positive thoughts and many prayers, will think of you often until you return. Stay positive, and remember that a lot of people are praying for you. We will all be waiting to hear from you when you get ready! both you and your hubby. You'll be in my thoughts daily, Kaaren. My best to you and your husband during this time of treatment/ recovery....Take care! We'll look forward to hearing from you whenever you are ready to come back. Karen - sure will miss you and your blog but you and your health are most important. You are in my prayers and we are expecting a full recovery for you. Stay positive and creative. Best wishes, Kaaren. I'm miss your news from Nova Scotia. I am supporting a friend with cancer and I'll think of you as I'm helping her this year. Take care. Prayers for you to get thru this well and strong!! Kaaren, you take whatever time you need, you are in my prayers for a full and complete recovery, hon. I'm glad to hear that you're upbeat and staying positive - that will be a huge benefit in your recovery, girl! God bless you Kaaren. I'll be praying for the best possible outcome for you. I'll miss hearing your updates and seeing your beautiful work but I understand that you have to take care of getting better and be with those who matter most (family and loved ones). Hopefully you can update us with a sentence or two when you get a minute but if not we all understand. Holy moly Kaaren, I am so behind in my blog reading and read all your posts. Just wanted to send you my best wishes and positive thoughts. I'll be thinking about you. Come back to blogging when you're ready and we'll all be here! Will be thinking of you both and wishing you all the very best for a full recovery. Prayers Kaaren from a twenty-four year survivor. Take good care of yourself Kaaren. I will be praying for you and sending lots of positive thoughts your way! All the best. My prays and positive thoughts are with you. Kaaren, Thinking of you and wrapping you in healing vibes. Take care of yourself. I send you all my best friendly thoughts from France. Sending prayers and big hugs and best wishes for a speedy recovery Kaaren. Kind Regards Dianne. I read your blog with great interest and I can understand that you just want to recover now. Take your time and I will be waiting. Greetings from the Netherlands. Think positive and get well soon. I wish you a full and speedy recovery. Take care. Be strong! Best thoughts for you. There is life after a cancer diagnosis - been given it twice. Rest when you are tired, decide what you are going to do with the energy you have each day, use it and let the rest of your activities wait for another day. Get out of doors as often as you can, and feel the grass with your bare feet. Sit and watch the trees in your yard - they are a gift to lift you spirit. You are not alone on this journey and I will hold your hand. Email me when you have a need - there are no dumb questions left (I have asked them all). Hugs to you - The Can Do Woman! Dear Kaaren, My prayer has gone up for you, DH, and medical personnel. That the Lord will provide the right doctors and treatment(s) that you will need. Also, that you will feel His nearness as you face this new lemon in your life. Hello Kaaren, i had hoped for better news for you. i wish you a lot of strength and love for you and mr.paintedquilt for the next following time. dogs give a lot of love too, so cuddle yuor dog a lot!! 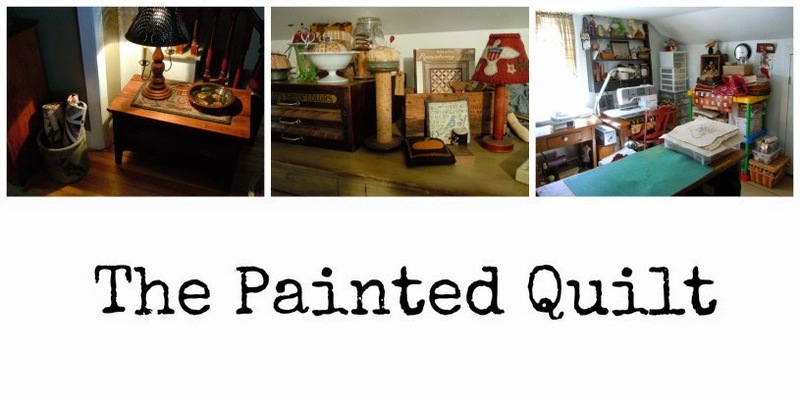 i`ll be thinking of you and mr.paintedquilt and will waith for you here. Kaaren, Take care and know that prayers are being said for you and Mr. Painted Quilt. Stay positive. Thinking of you and very sincerely hope you win the fight. I'm going to be thinking of you and sending prayers and virtual hugs for a long time and for Mr Painted Quilt too as the both of you face your challenges. Much love for you both. I'm sending positive vibes and healing wishes for a quick recovery. I know you will be back soon but meanwhile I'll miss you and think of you every day until you are well again. Take care of you and know that we will all be praying for you. I have been thinking of you so much and sending prayers your way. This is not the news we wanted but I am sure you are in the best hands and hopefully the prayers of your friends from all over the world will give you strength as you continue the journey of regaining good health.We are sending hugs your way. From Pa.Love to you. Am sending the very best of warm thoughts your way! Your wonderful attitude is a great start! Kaaren, this is Beth from Alberta. Keeping you in my thoughts and prayers. Stay positive and strong. I wish you a speedy recovery. 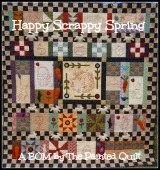 I have finished my Raggedy quilt top and look forward to having it quilted so I can show you photos. I look forward to doing more of your patterns. Kaaren and Mr. PQ, take care of each other and yourselves. Know that many many prayers are being said for you. I am wishing you a speedy recovery. I have been a reader since last October. My son loves to listen to Shaboom while I read through your latest happenings and projects. I will miss your blog while you are healing but want you to take your time and tackle your current hurdle. Blessings to you! have what I call the "ugly cry" then baby steps forward...you have a ton of ideas and projects that need to get done! My very best wishes and wellness thoughts go with you on this part of your life's journey - I look forward to seeing you blogging very soon. Oh Kaaren...I will miss you but please take care of yourself. I will keep you in my prayers for a quick and easy recovery! You will be in my thoughts and prayers - hoping for a very speedy and full recovery. Keep thinking positive thoughts. 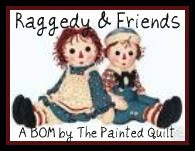 Kaaren, I'm sending you hugs from my Raggedy Ann and Andy! Our best wishes for your recovery. Kaaren, Prayers for you and I can't wait for your healthy return. No words can express what I feel in my heart....just know....I'm sending healing wishes and prayers. Healing can be yours. Read some of Dr. Wayne Dyers books on believing you are well. Say affirmations about being healthy daily and let yourself feel what that would feel like (or may feel like if you feel well now). Eat lots of healthy vegetables and fruit - organic if possible and believe in the love others show you. Kaaren, te envío un graaan abrazo y muchísima fuerza en este momentos. Las mayores de la vibras positivas para ti.. Taking care of yourself is the most IMPORTANT thing for you to do right now. You will be in my prayers! Kaaren....Take care of yourself and get well soon! We will all be thinking of you. creative! My thoughts and prayers are with you and your family! Mind over matter! Try to stay positive and take care of yourself. We'll be out here cheering for you! Keep that positive and upbeat spirit Kaaren. We will all miss your blog, but first things first. Take care of yourself and all the best for a full recovery. 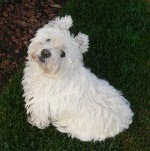 Kaaren - I will miss your blog, but understand that you need to take care of yourself now. You have many prayers and people thinking of you wishing you well and mine are with theirs. I wish the best and a fast recovery. You have lots of friends, Kaaren, as I can see by the number of comments you have have received already. I will miss you and I am hoping for the very best outcome. Staying positive is definitely a good thing. Kaaren, my friend Paulette shared your lemony news and I just wanted to come over and add my well wishes to the growing list of sweet comments from other blogging friends. You're half way there if you have a positive attitude and believe in your wellness. All the best to you for a full recovery. Hi Kaaren, I will be thinking of you. I will miss you and your blog. Stay strong. I will think of you every stitch I take on my wool, because you have taught me everything I know about it. I cant wait for your return Prayers from Virginia. Oh, my. Sorry to hear you have some lemons piled up! Glad to know your spirits are positive. Thinking healing thoughts for you and hugs to Mr. Painted Quilt. If anyone can successfully make lemonade it'll be you. Keep strong, we'll be glad to hear from you when you can post and when you can't, we'll just send good wishes your way. Sending positive vibes and and praying for you. Kaaren, take care and all the very best wishes for your journey ahead. Take care of yourself and stay positive. We will miss your blog, but we'll all be here when you are recovered. Best wishes for a full recovery. Hugs to you and Mr. PQ. Oh Kaaren, I'm sick to hear about that. I'm so sorry. You'll be in for a haul of lemons but your spirit will sweeten the haul. You're a fantastic person and I've so enjoyed our acquaintanceship. I will keep you in my thoughts and prayers. Prayers will help you I know that. Keep us informed. We really care. Please know that you will be in my thoughts and prayers during this time for a speedy recovery and strength for this journey ahead. He will rejoice over you with singing." Kaaren, take care and know that there are alot of us in cyberspace who will be thinking of you and speaking your name in our prayers. I will miss hearing of your gardens and the "new house". I have enjoyed watching the progress. I understand what your mission is now, be strong. Will await your return. Oh Kaaren I'm so sorry you didn't get more positive news. Take all the time you need to heal and know that we'll all be here praying for you while you do. I am very sorry to hear your news, especially as someone who has been there, done that. It's time to get on that warrior gear and "Fight Like A Girl"! My thoughts, prayers and good wishes will be with you on this journey. Best wishes for a complete recovery. Keep that positive attitude. Stay strong. We will be here when you return. So many hugs! I bet if we connected every blogger on a globe with pins and red yard, we would be able to wrap your world with a non-stop hug! Wishing you all the best. If there is anyone who could let us know how you are doing, and then we could resend our love, I'm sure that would be powerful healing medicine! Hugs and prayers are coming your way from Iowa! Many of us are praying for you!! I am so sorry you are having health problems!! I will be keepin you in my thoughts and prayers!! I'll be thinking of you and sending positive "vibes" as you work to beat this load of lemons, Kaaren. Best wishes coming your way. I'm so sorry. You are in my thoughts and prayers. Sending healing energy and a big virtual hug your way. Kaaren, know that you will have many prayers flying your way. I will add you to my prayer list and hope that you are well cared for and recover quickly. Big hugs and positive thoughts are coming your way from The "No Coast" part of Canada. Prayers and good thoughts flowing your way. Will also be waiting for the return to your blog. Look at all the people who love you and will be your prayer warriors. You have quite a team behind you!!!! Myself included. We'll be at your beck and call. Just tell us when you want us all back in your life of Blogland. I'll be offering prayers and long distance hugs from 'afar. Karen, My thoughts and prayers are with you. Know that there are so many of us out here wishing you the best! Kaaren, prayers are being said and also being sent from my little corner of the Shetland Isles here. Take care, we're all here waiting for your return and will miss you and your blogging greatly! Sending all good wishes and heartfelt prayers for God's best for both of you. I will miss you and wait for your return . . . .